In the $700 billion restaurant industry, nine out of 10 restaurants are using social media. With statistics like that, there’s no denying its power. Facebook allows you to advertise promotional content in two impactful ways. The first is that you can market to “friends of friends”, or connections of people who like your page. The second is by marketing to a defined set of demographics, custom audience lists, website visitors, and interests that you set. Notably, the ads that you create in Facebook can be shown to people on Instagram and you don’t even need an Instagram account to do this. 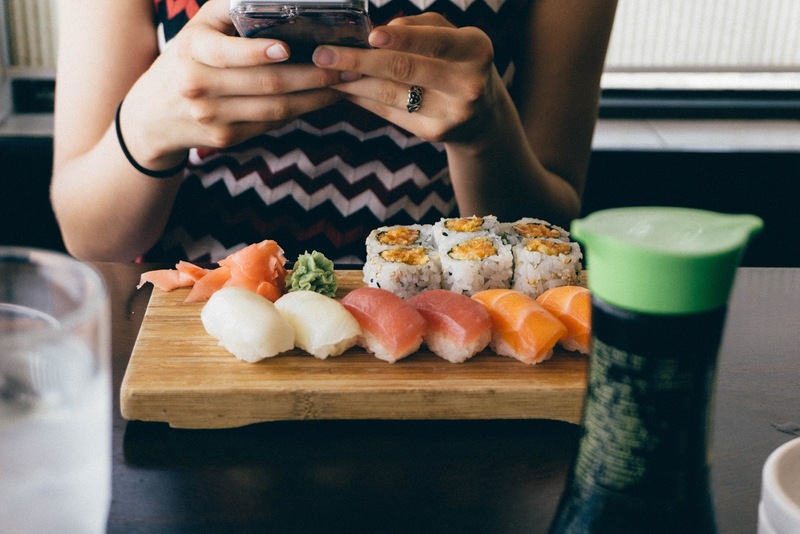 You may be wondering how to effectively promote new menu items using social media. 1. Your current customers are most interested in your new menu items. If you want an immediate increase in business, leverage your current customers. Your loyal customers will be most interested in a new menu item. To get started, upload your current email lists, text marketing lists, and online ordering lists. Facebook will match this data with current Facebook users. 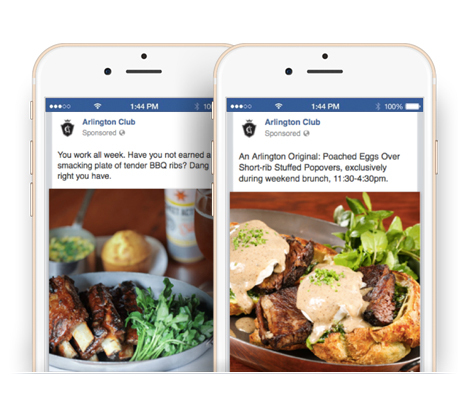 You can then target current customers with your restaurant’s ad on Facebook and Instagram. Ads targeting customer lists get the most views at the lowest costs. 2. Target menu items by individual customer preferences. Tracking website visitors and what they look at allows you to target customers based on what they are interested in. For example, splitting your digital menu into separate breakfast, lunch, and dinner web pages allows you to build target audiences based on the menu they looked at. Just added new dinner menu items? The best audience to target are people that have looked at your dinner menu. You can even run your ads during the dinner hours to show your ad at the time a customer would most likely be interested in your new dinner menu items. These customer insights allows you to serve the right message at the right time of day. 3. Stop showing irrelevant ads. Facebook allows you to stop showing your ad to people that have taken the desired action from the ad. Consider if you wanted to drive customers to your restaurant with a great coupon offer for a new menu item. Your ads will continue to be shown to people that have not stopped in and redeemed the coupon for the new menu item. Facebook allows you to set your conversion to look for people that have redeemed the coupon and will stop showing the ad upon conversion. Facebook ads let you do all kinds of highly niche targeting. Are you trying to get customers of your competition to try your restaurant? You can target your ads to people that have shown an interest in large national or regional chains. Run a “try me” offer targeting your competition. You can even exclude current customers from seeing the advertised offer. No sense in offering discounts to current customers. Have you used any of these tactics? If yes, did you get more customers in the door to dine with you? At first it may seem overwhelming trying to learn how to advertise effectively on Facebook and Instagram. There is no need to try and figure it out on your own. 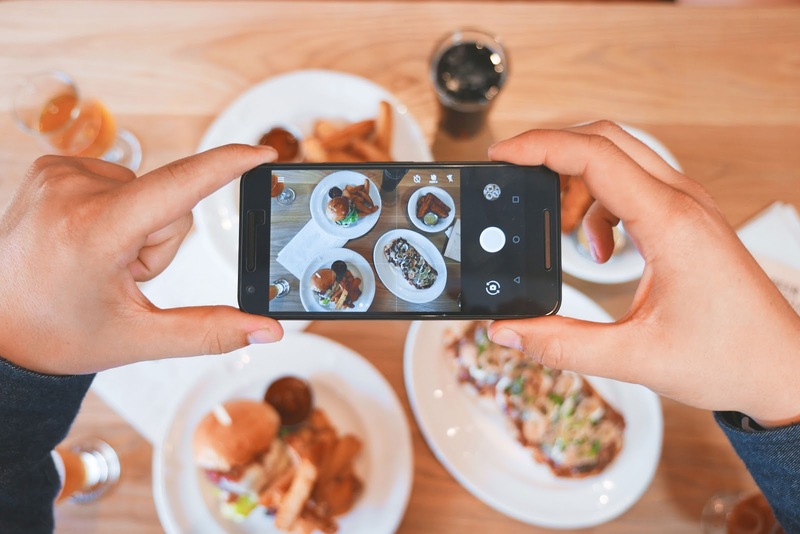 There are many experienced digital marketing providers that can assist with getting everything running to successfully promote your restaurant utilizing social media. Also, here is a helpful guide if you interested in learning more about how to maximize the power of Facebook advertising.